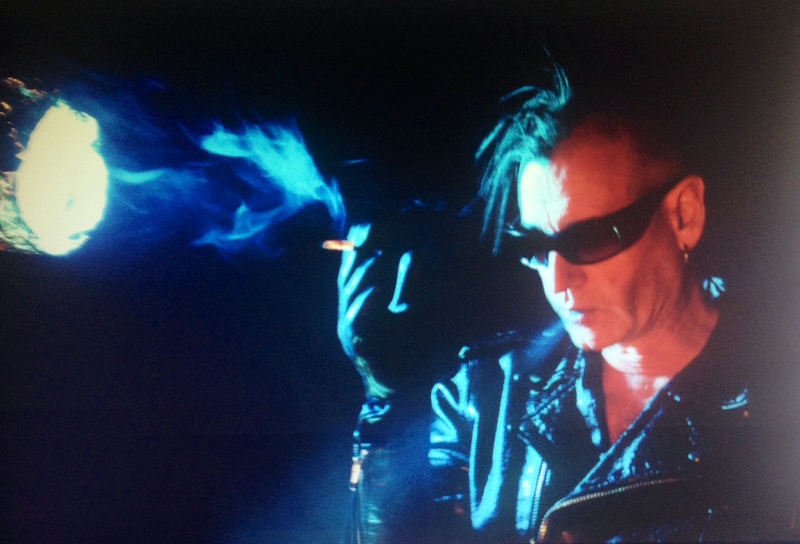 The Love and Rockets singer/guitarist started in the Goth band (before there was Goth) Bauhaus in the late ’70s/early ’80s, then shifted briefly to record flippant dance songs with Tones on Tail, then was known for tuneful and sometimes acoustic New Wave with Love and Rockets, reaching the height of fame with “So Alive” (1989) before switching to electronica, a realm he’s delved further into in recent years across his five distinctive solo albums. We discuss the title track and “Indie Boys” from his soon-to-be-fully-released Freedom I Love album, which was put together from songs from the last several years, many of which involved working with remote DJs who created rhythm tracks for Daniel to layer over; we also discuss the method of cut-up lyrics that he often turns to. We also tackle “Christian Says,” a 2014 highly produced remake of the 1985 Tones on Tail song for the ironically named album Stripped, featuring keyboards/arrangement by Mat Michell. We conclude by listening to “Flame On,” another song that appears on the new album, previously released on the Hog Fever soundtrack (2016). Opening/closing music: “So Alive” from Love And Rockets . Here’s the original version of “Christian Says.” Here’s the video for “Flame On.” Here’s the video for his big song “So Alive” and the one for the solo tune “This Love” that I ventured was one of his only attempts to replicate that vibe, though the similarity is more in the vocal than anything else. Here’s the Stripped remake of “So Alive,” which represents a reunion with the original producer, John Fryer. Here’s the one song, “Slice of Life,” that Daniel sang for Bauhaus, and the new version.